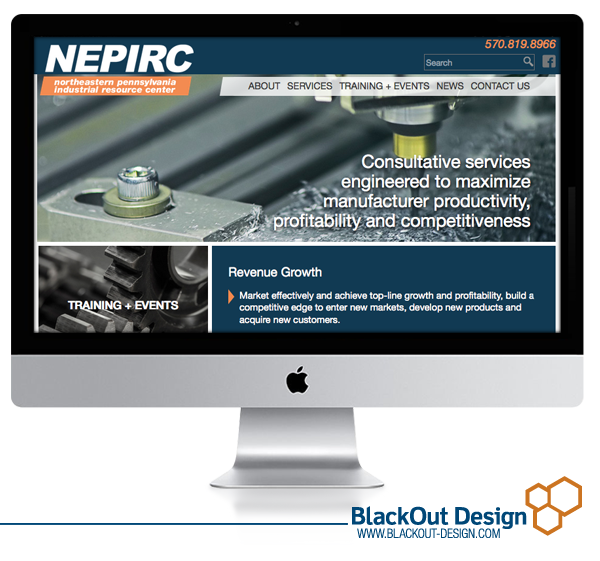 BlackOut Design recently teamed up with the Northeastern Pennsylvania Industrial Resource Center (NEPIRC) to redesign their website. Our goal was to design a functional, responsive site that reflects the services and mission of the organization. We wanted it to have a mechanical feel while not being overly masculine. Bright pops of color and grid- shaped patterns make the content easy-to-read, and the calendar of events provides access to valuable training and workshops hosted by the company. Check it out here, nepirc.com!